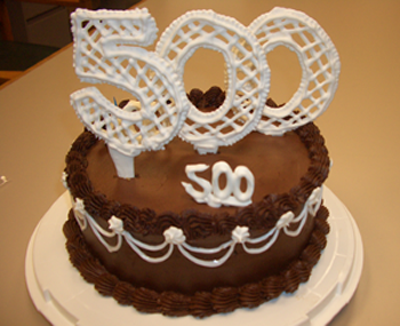 Cosonok's IT Blog: 500 Posts! A milestone passed that’s worthy of a post! Wow, it’s amazing how time flies. When I started this blog back in March 2010, I would never have imagined achieving 500 posts in less than 5 years. There’s been some good posts, some rubbish posts, some popular posts, and some not so popular posts, and lots of in-between along the way! Blogging back in 2010 was a bit of a revelation for me - after having copied one of my former colleagues who also has a blog (or should that be had ... not seen an update since September 2011!) I’d always liked to document stuff (as an aid to memory more than anything), but invariably these documents would get lost and forgotten about in the tides of time. The blog is an awesome tool for storing those procedures and investigations, and then being able to search through archives later on. 1) Sharing stuff is a great way to help other people, and this is something I like to do. 2) Documenting stuff for public presentation encourages the documenter to do a much better job than otherwise documenting just for oneself; and it helps the author’s learning by taking the extra effort to try not to write misleading or inaccurate stuff. I’d highly encourage anyone who has a hobby/something they have a keen interest in (which I’m fortunate my job falls into both), to publish stuff on a blog. Yes, it can be time consuming, but it can also be time saving too, as an easy, quick, and highly available place to get to your notes! If it’s a work related blog, it’s perhaps not good for job protectionism, sharing all your hard earned knowledge. Personally though, I think the benefits out way this - and, hey, I’m naturally disposed toward sharing. Certainly within IT, there’s no point being protectionist about knowledge that will be out of date within two years. Share and share alike!